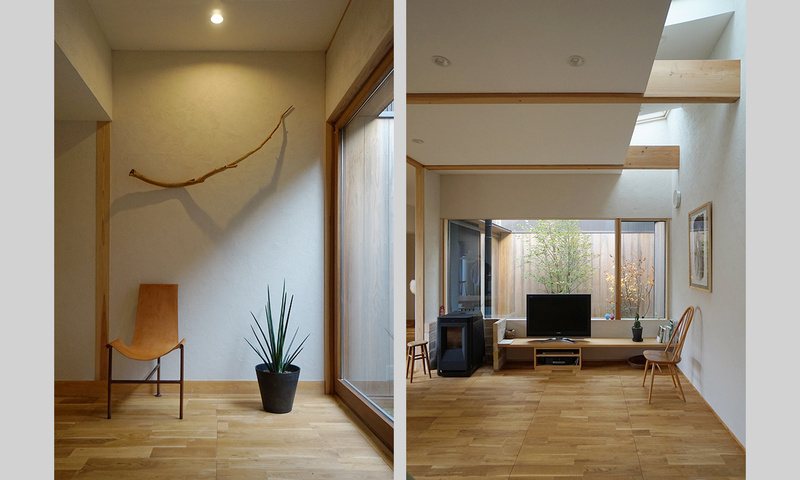 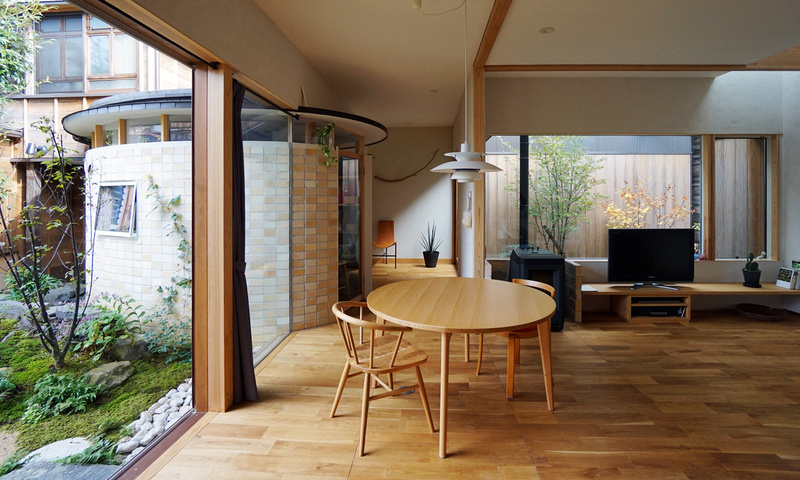 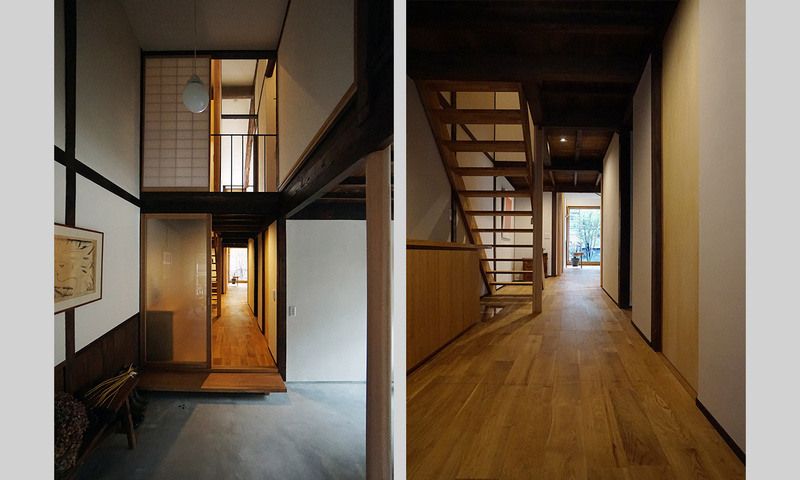 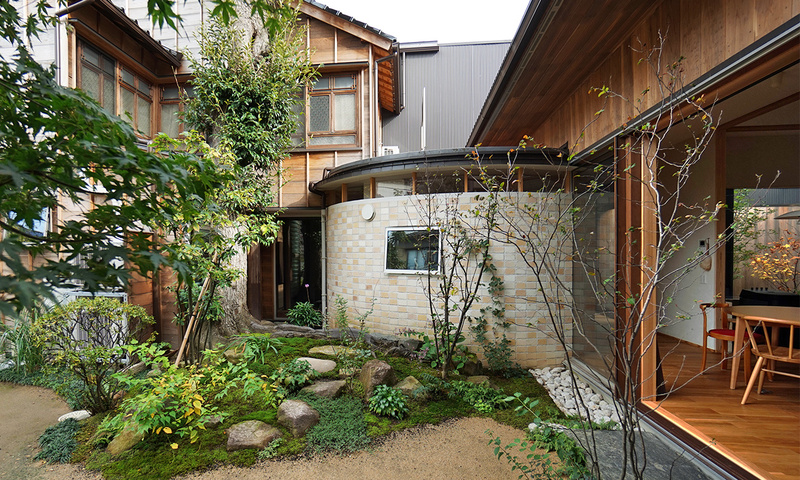 ・The planned site is located in the Utatsuyama area designated as Kanazawa’s Important Preservation District for Groups of Traditional Buildings, and the house was renovated with permission and in full compliance with the criteria for repair and landscaping. 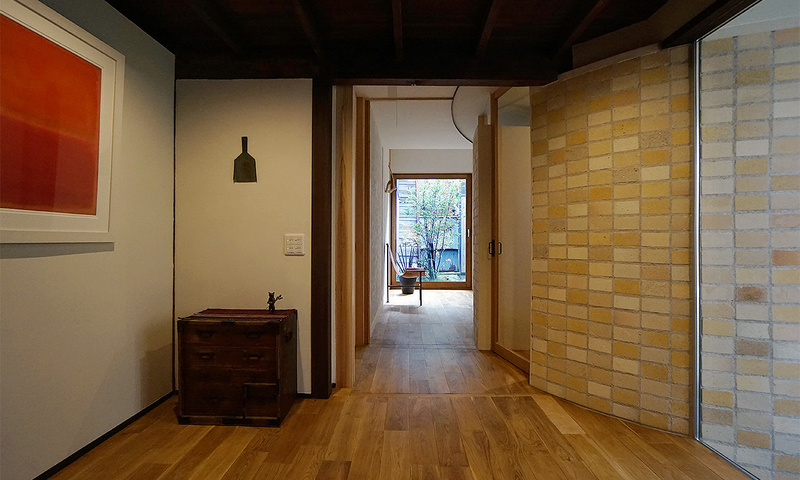 ・The 218-square- meter plot formerly contained three buildings, one built in the early Meiji era, one in 1963, and the other in 1973, the latter two being during the Showa era. 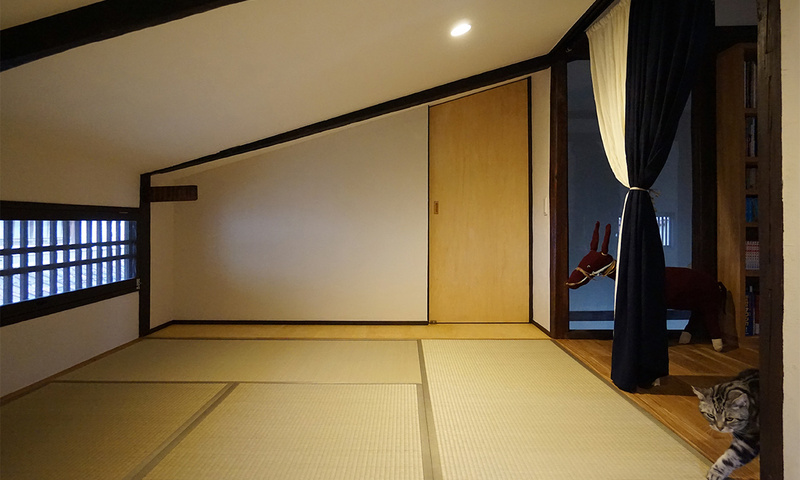 The structure designated as a traditional building is said to have been built in the early Meiji era, although materials used in its construction are estimated to be from the end of the Edo era. 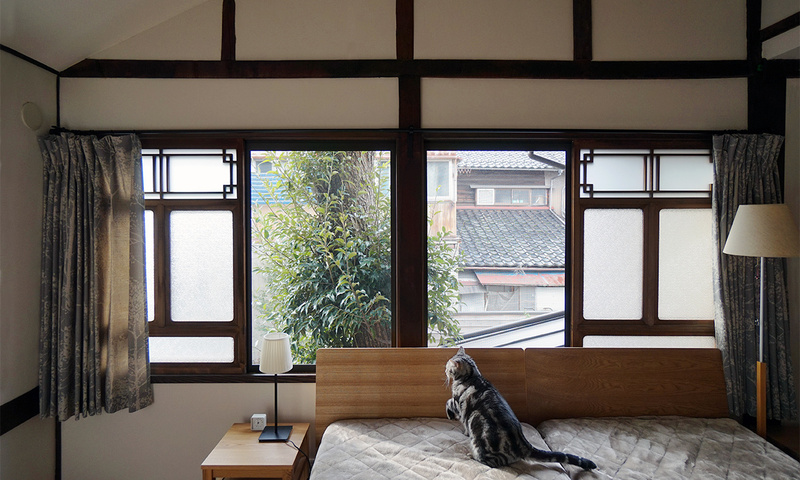 The typical low townhouse has a high historical value. 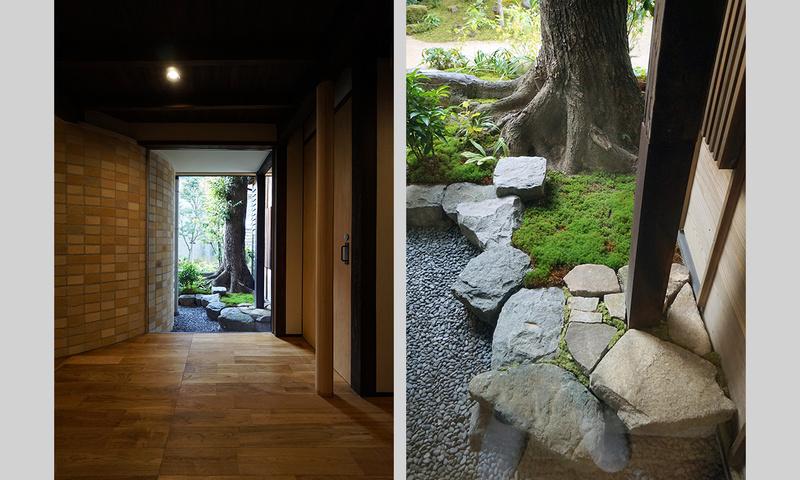 ・The two buildings built in the Showa era were demolished, with the one from the Meiji era conserved and renovated, along with having a one-story extension added to ensure the scale of the house was suitable for the client’s family. 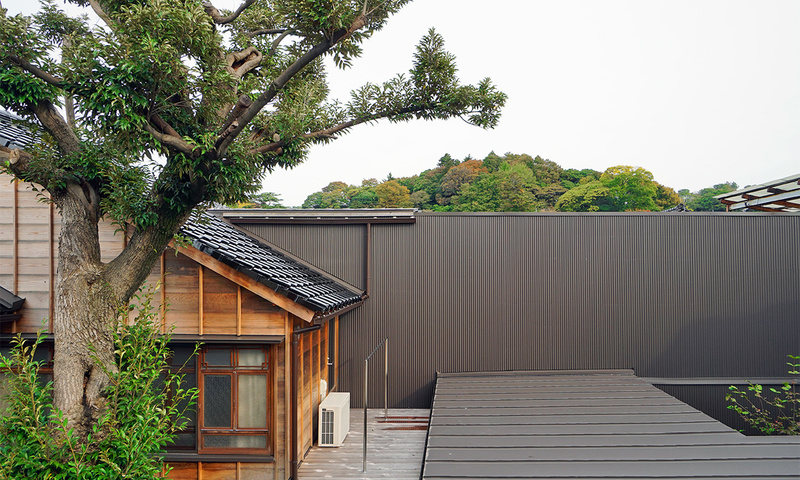 Castanopsis tree in the middle of the land gives the impression of having become unified with the building over a long period of time, and is a symbol of a strong will that resides on this land. 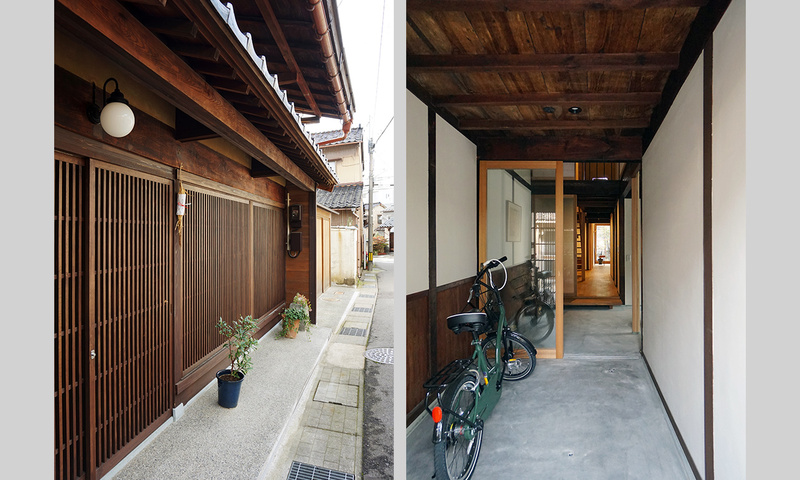 neighboring houses on the left and right sides were retained in the extension to the general building in order to not affect the neighboring houses. 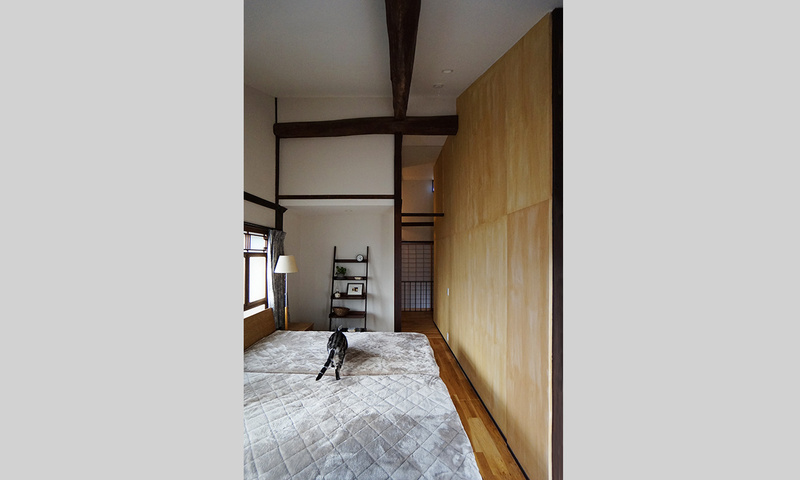 ・The client is a web designer who returned from Yokohama and built this house combining work and life along with his design office. 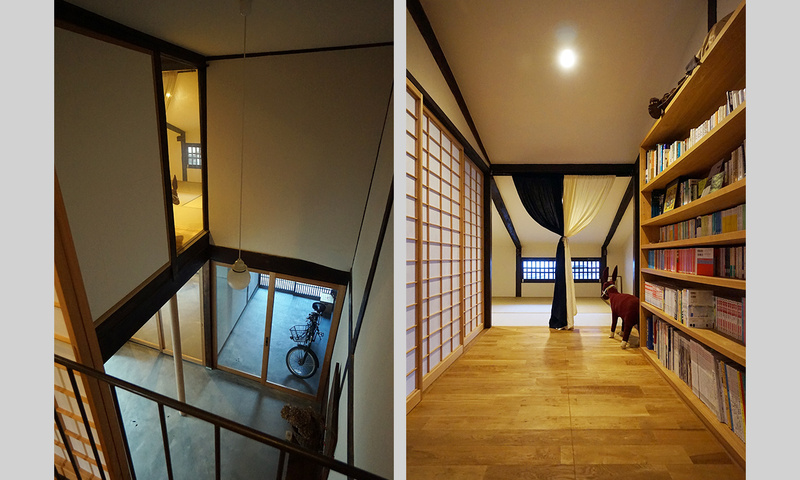 The client is considerate of relations with the local community, so the hall containing his office is actively open to the community, with the house expected to “turn into a town” for occasions like festivals and other events.